The current Australian business climate calls for attracting, engaging and retaining talented and committed employees to become an industry leader through world class HR practice. Factors like population ageing, national labour shortages and increasing immigration, and changing attitudes of workers towards career and employment shape Australia’s workforce today. 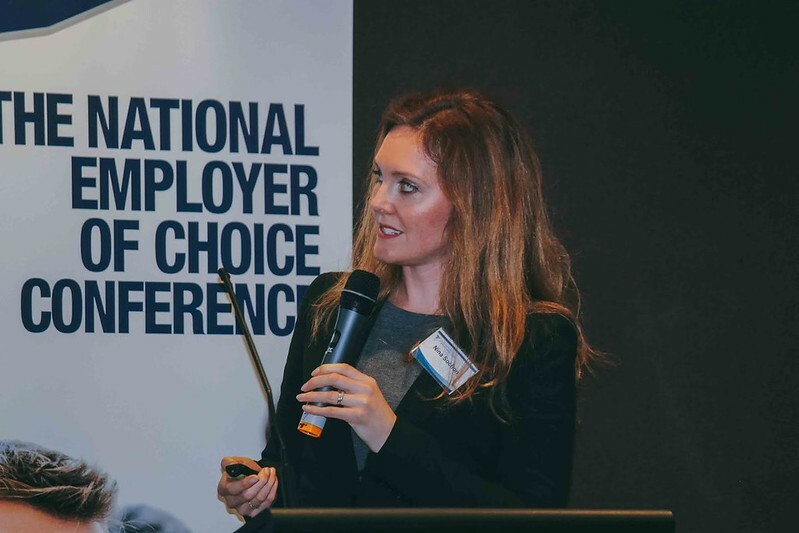 This year, The National Employer of Choice Conference assembled a unique line-up of public, private and not–for-profit sector organisations that have become recognised as some of Australia’s best employers. The conference was held on 22nd of June 2015 at the Rydges Hotel Sydney, Australia. The conferenced aimed to present award-winning HR strategies and innovative approaches to help guide organisations closer to their goal of becoming an outstanding Australian employer. Nina Sochon presented a keynote session entitled How to make remote and flexible work styles effective – theory, practice and tips.